Love it or hate it, these days when planning a wedding the modern couple has to take their stance on social media. Will you allow photos at the ceremony? Do you want everyone’s phones put away completely? Or do you embrace the social media world and want your guests to help you document the big day? Whatever your preference is, we’ve compiled five creative social media ideas for your wedding day! This idea is fairly common but can be a simple way to incorporate social media into your wedding day. Hashtags are used on social media to easily find posts from many users on a singular topic (insert: your wedding). By creating your own unique hashtag and asking wedding guests to use it when sharing their photos of your big day, you’ll have a gallery of memories from loved ones to revisit long after the day is over with. These hashtags can be as simple or creative as you and your future spouse would like! The most important thing is that it’s easy to spell and remember so that your guests can accurately use it and you can find their posts later. - Celebrity Couple Name: Find a clever combination of your and your spouse’s names like celebrity couples such as “Brangelina” (Brad Pitt and Angelina Jolie), or “Kimye” (Kim Kardashian and Kanye). - Puns: If one of your last names, venue, or theme is made for punny material, use it to your advantage and give guests a chuckle. - If you’re really stumped, try using a Wedding Hashtag Generator. Once you’ve decided on your hashtag of choice, make sure your guests know about it! Include it in the wedding program, on table cards or napkins at the cocktail hour, and on menus, tables or projections at the reception. It might also be nice to add a little note expressing how you’d like the hashtag to be used so you can remember the special day! 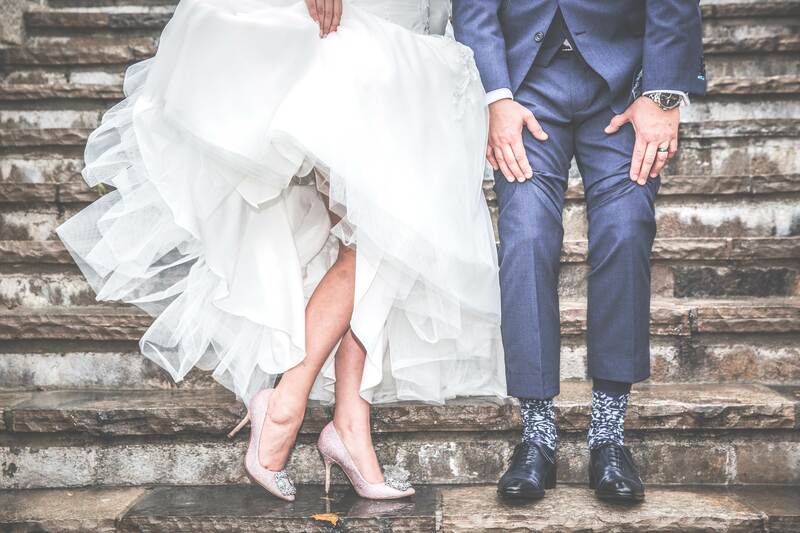 If you and your spouse-to-be aren’t from the same hometown, there’s a high chance that many of your desired wedding guests won’t be able to make the trip to attend. Or, if you’re planning a small wedding or elopement, this might be the social media tip for you! 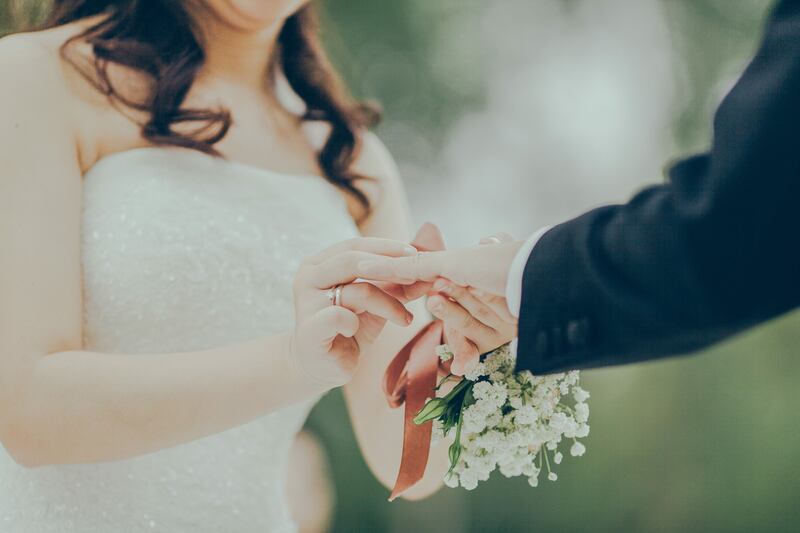 In addition to the wedding photographer and/or videographer, have a tripod set up with a phone to use the Facebook Live feature to share video of the wedding ceremony in real-time! If you’d rather not share the ceremony video with every single Facebook friend, you can set up a private Facebook group and only add family and friends who you’d like to view it! Post frequently in the group leading up to the wedding day to remind loved ones when they should tune in to watch the ceremony. The best part is, you’ll have the entire Facebook Live video to rewatch after the day is done! Snapchat is a popular app for taking selfies and communicating with friends. There are many rotating filters created by the app itself that are available, but there are also unique filters available based on your geographical location. Ever noticed how there are new “city-inspired” Snapchat filters when you travel? You can pay a small fee to have your own Snapchat filter design available within a specific geographical location of your choosing (read: your wedding venue). This is a fun feature for guests to use and share in the wedding day celebrations with you without taking away from the main event! The process fairly easy, from designing the filter to selecting the venue location. 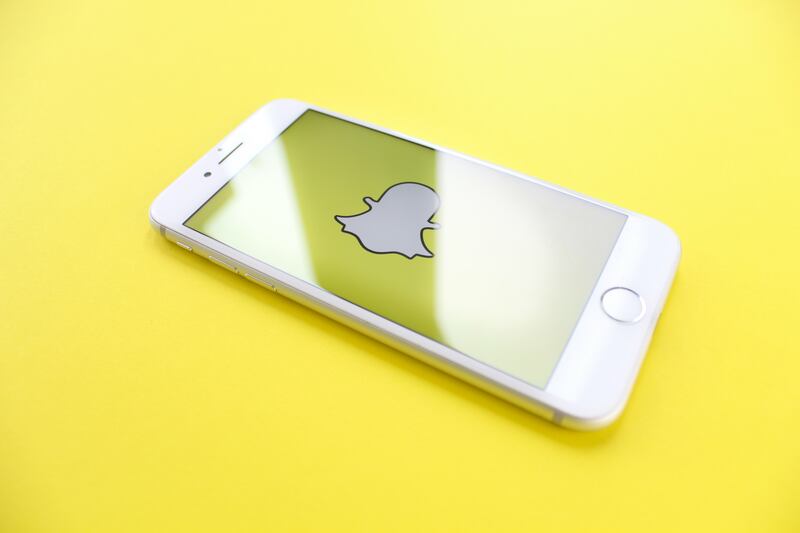 It’s advised that this task be completed well in advance of your wedding date to ensure that Snapchat is able to review and approve your design without any bumps in the road. Check out the instructions for creating and scheduling your wedding day Snapchat filter here. To add an extra layer of entertainment to your cocktail hour and reception, host a wedding day social media scavenger hunt for your guests! Provide a list of tasks for guests to complete that are related to your love story or to act as ice breakers amongst guests. These lists can be placed on the cocktail tables, by the bar(s), or in the wedding programs. - Find a wedding guest you’ve never met from the same state as you and take a selfie with them. - Make a short video expressing your favorite memories of the bride and groom. - What’s your top tip for marriage? - Whether you’re #TeamBride or #TeamGroom, meet 5 people who are friends with the opposite side and take a big group selfie. - Make a video showing off your best dance floor move! Each of the tasks should be completed on either an Instagram story or Snapchat story, depending on your preference. It’s also important that the wedding or scavenger hunt-specifc hashtag is included. Whoever completes all the tasks, or completes them first should receive drink tickets or a special prize! For a classy addition to your post-ceremony wedding events, set up a Juicer social media wall to share guests’ memories all night long. This is a live feed of social media posts (from your chosen social media platforms of 15+ options) that can be projected onto a wall in your venue. All posts using your designated hashtag will be added to the collection for display. This is a great way to make your guests’ feel special and included in the festivities of the wedding, and is also a great collection of memories for you to look back on and remember what an amazing event you hosted! Step One: If you haven't already, sign up for a free Juicer account and get acquainted with the program before the big day. Step Three: To ensure your feed is updating every one, five, or ten minutes, update your Juicer plan to the Large or Enterprise options. Step Four: Make sure the "Auto-Refresh for Live Events" dashboard setting is turned ON so that Juicer is automatically pulling in new posts without refreshing. Step Five: Copy and paste your URL into a new window. Step Six: Display your wedding day live social media feed on a projector or TV. Generally the easiest way is to mirror your public feed page. We recommend either connecting a computer to this display directly and mirroring this page on the display, or by using a device like the Chromecast or Amazon Fire. Step Seven: Make sure you test the social media feed before your wedding day. An easy way to test the Juicer feed is to open one tab with your public feed page and then test a sample post on your Instagram, Twitter, Facebook, etc. 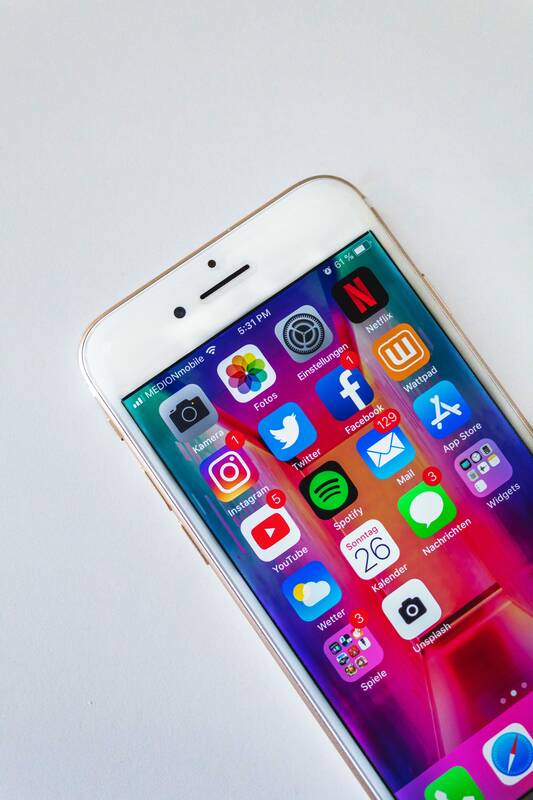 You’ll know that it’s working when the social media post appears on the live feed without needing to refresh before your chosen update frequency. Each of these social media ideas for your wedding day are sure to entertain guests and create lasting memories. What are your favorite ways to include social media into a wedding? Share with us in the comments!